After collecting all of the parts comes "playing checkers" to find the best layout given the set of parts located. In this case I found suitable 30's parts for all of the major components except the chassis itself. For it I'm using a 17"x10" sheet of 18 gauge aluminum. It will be fastened to a 4 1/2" tall wooden frame and then frame and aluminum painted black winkle. 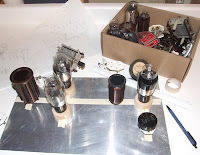 Since the AWA Linc Cundall OT CW Contest in January I've been thinking about building another transmitter, this one falling in between my 1929 TNT transmitter and my Thordarson 100 or late 30's 6L6 transmitters. I want to use it with my National FB-7 so it needs to be an early to mid 30's design. 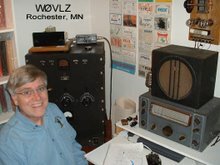 A popular design in the early 30's used a type 47 as a crystal oscillator driving a buffer and final on 160 through 10 meters. Typical power was anywhere from 20 watts on up depending on the tube lineup. 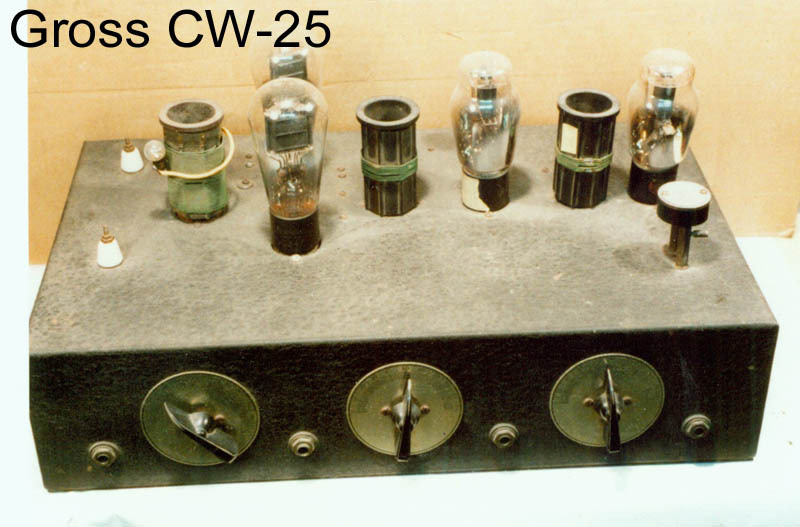 The Gross CW-25 was one example. It had a 47 oscillator driving a 46 buffer/multiplier followed by two 46s in parallel. Plug-in coils were available for all bands 160 - 10. This looks like a pretty neat transmitter. 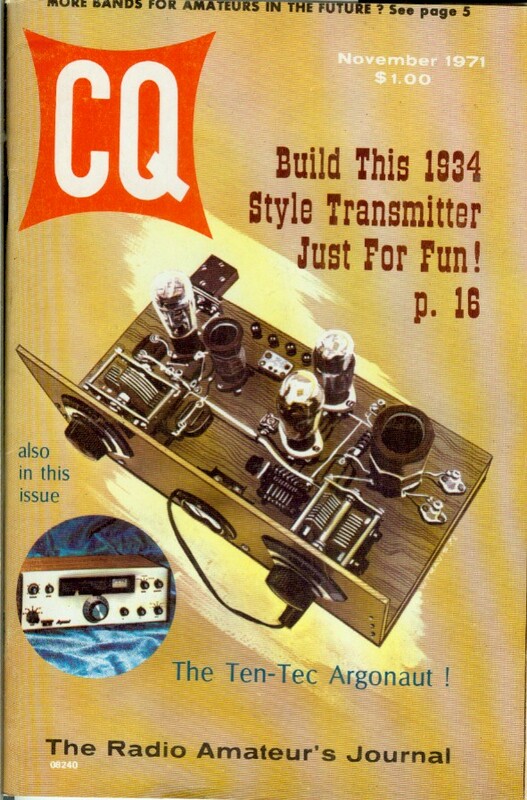 More about the CW-25 can be found in Bill Orr's "Antennas" column in the February 1977 issue of CQ magazine. I wish I could find a CW-25 available. Does anyone have one they will part with? In the mean time I'll have to homebrew something. 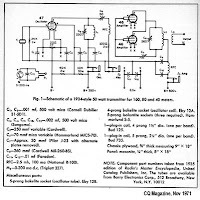 The cover story of the November 1971 issue on CQ magazine is a Bill Orr construction article describing a 160/80/40 meter "1934 Style Transmitter". Circuit-wise it is a close match to the CW-25 but without the buffer/multiplier stage. This circuit design fits my early/mid 30's requirement but the CW-25 chassis sort of construction better matches the "modern" look of my FB-7. I'll combine the two using the circuit from Bill Orr's article but building it to look more like the CW-25. 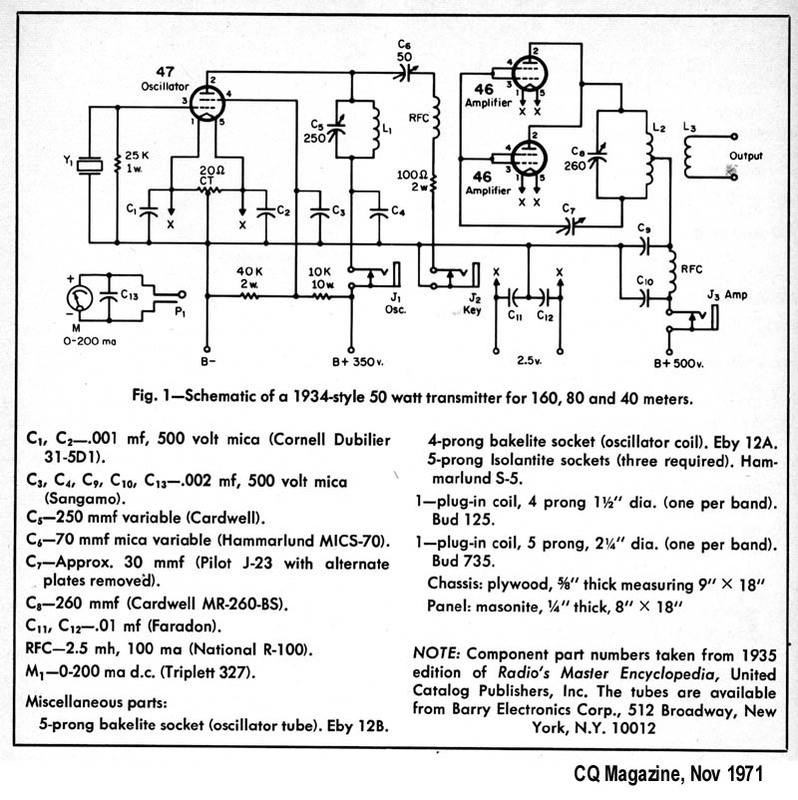 Notice that the schematic scanned from the original CQ article is missing the connection between the coupling capacitor C6 and the 46 tube grids.